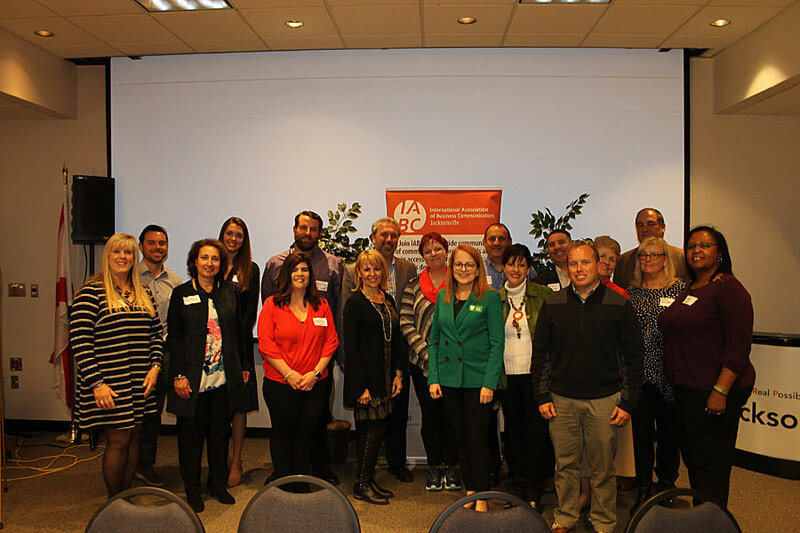 IABC Jacksonville is the local chapter of the International Association of Business Communicators. We represent professional communicators in North Florida, including Jacksonville, St. Augustine, Fernandina Beach and Gainesville, and South Georgia. Our members include corporate communications, internal communications, social media and public relations professionals from large companies, small businesses, communication agencies, nonprofit organizations and government agencies, in addition to freelancers, sole practitioners and consultants. As professional communicators, they aspire to excel and to help organizations achieve their goals through communications. Our chapter hosts monthly professional development meetings, hands-on workshops throughout the year, and quarterly networking mixers open to members, non-members and students. IABC is a not-for-profit international network of 15,000 communication professionals in over 80 countries committed to improving the effectiveness of organizations through strategic, integrated business communication management. Visit IABC online at www.iabc.com or send an email to info@iabcjax.com. IABC Jacksonville is part of IABC’s Southern Region. Visit the Southern Region’s Web site at www.southernregion.iabc.com. CLICK HERE to view photos from our recent events. We hope you can join us for our next one!